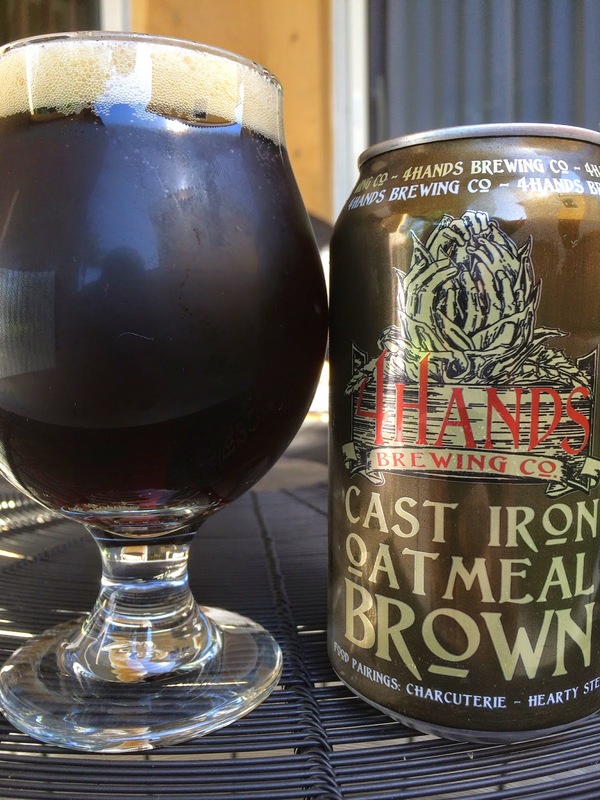 4 Hands Brewing out of St. Louis, Missouri recently contacted me about some exciting news at the brewery. In order to meet growing demand, they decided to start canning all of their year-round beers, an action that will quadruple production to 700 cases each day. Seasonals will still be offered in bottles and bombers. The brewery sent me six different cans to check out. And sure I'm excited to try the beers, but I'm just as excited to check out the can art, one of my favorite things. Each can has the brewery logo, which appears to be 4 hands coming together in a hop cone formation. 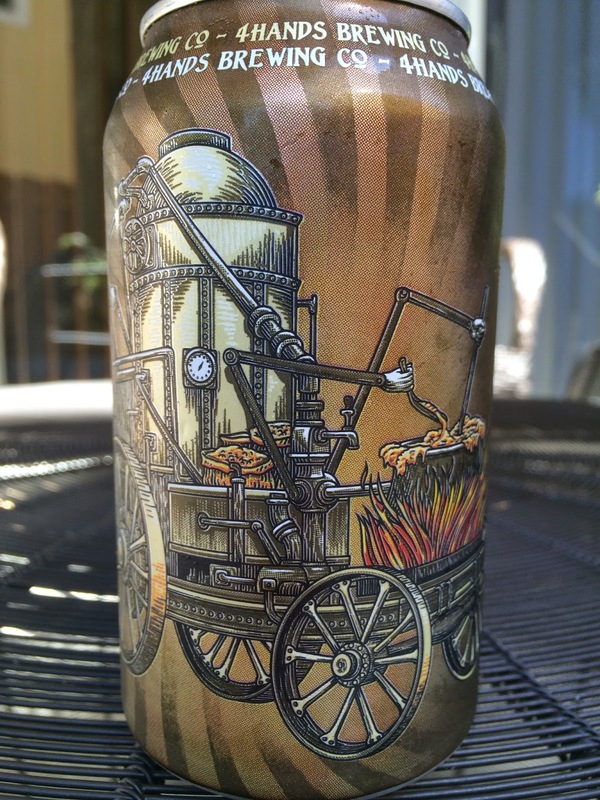 The artwork for the first beer I grabbed, Cast Iron Oatmeal Brown, depicts what appears to be some old brewing equipment on some kind of old wagon. But the fun part is that there are actually mechanical arms and hands (4 of them), stirring the pot and doing the work. The detail in the artwork is terrific! Pair with Charcuterie or Hearty Stew. 5.5% alcohol. Chocolate and creamy sweet aroma meet coffee and some light roast. Flavors are similar, starting off with some big chocolate, though definitely not too sweet. A good dose of roasted coffee comes next, providing the perfect bitter and sweet balance to the beer. Texture is very creamy. More milky, sugary sweetness finds its way in, while there is a decent dose of lingering smoky char at the finish. Very nice and flavorful brown ale! Easy drinker! Love & Wine, Also A BEER EVENT!